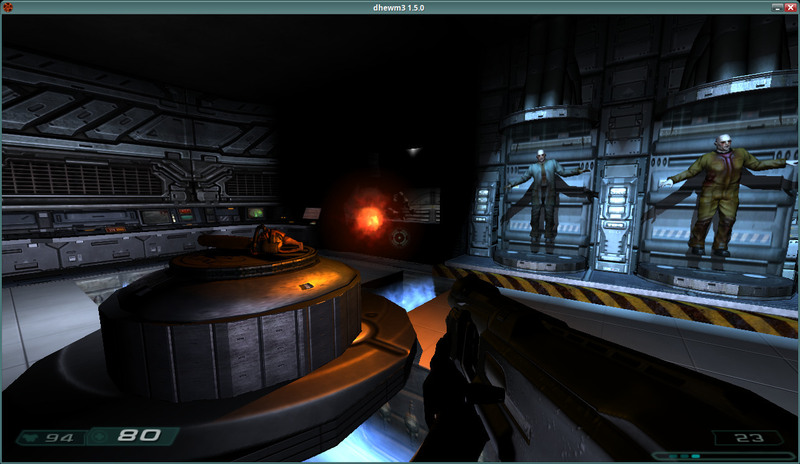 dhewm3 is a source port of the original Doom3 (not Doom3 BFG, for that you may want to try RBDoom3BFG). 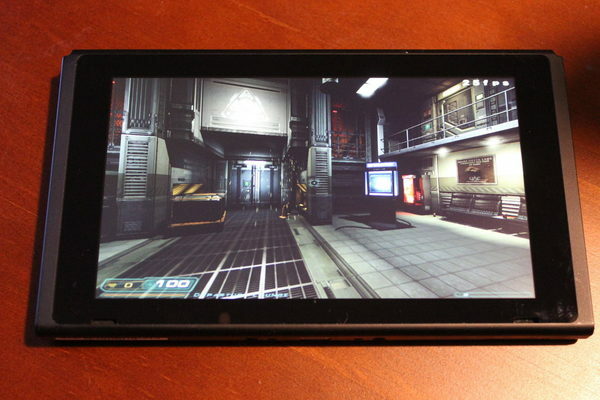 It's known to work on Windows, Linux, macOS, FreeBSD, OpenBSD and AROS, but it should work on (or be easily portable to) any system that supports OpenGL 1.4 with ARB shaders, SDL and OpenAL. Compared to the original version of Doom3, dhewm3 has many bugfixes, supports EAX-like sound effects on all operating systems and hardware (via OpenAL Softs EFX support), has much better support for widescreen resolutions and has 64bit support. It only supports old Mods if they either don't require their own game DLL or have been ported to dhewm3 - see the Mods page for more information. 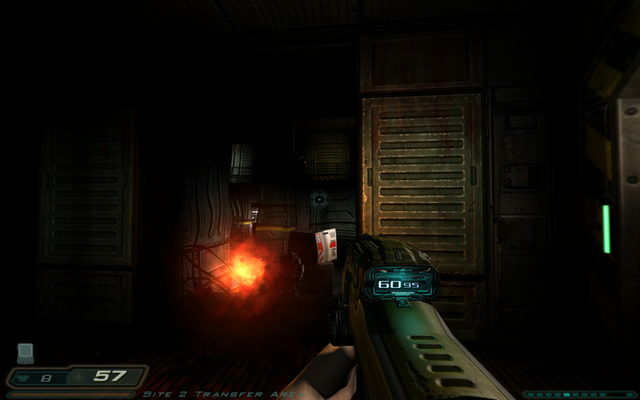 Note that while the Doom3 source code has been released under GPL, you still need to legally own the game and provide dhewm3 the game data to play. See the How to Install section for more information. 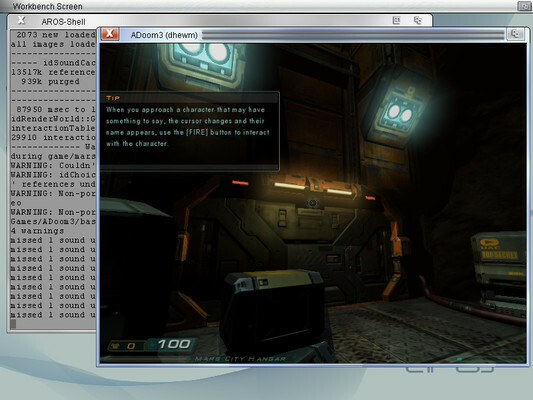 The (Windows-only) integrated editing tools of Doom3 are back! While prior dhewm3 releases have been built with Visual Studio 2010, this is built with Visual Studio 2013, so if it doesn't start on your system make sure you have the Visual C++ 2013 Redistributable installed - but chances are good you already have it. Based on Code from the dhewm3 branch of SteelStorm2, thanks to Motorsep for donating that code! Has some bugfixes over the state in Doom3 1.3.1, like selecting a material in the Particle Editor doesn't break the viewport of the game any more. This is based on Gabriel Cuvillier's code for D3Wasm, which ports dhewm3 to web browsers, thanks! The final version of 1.5.0 release is now available! 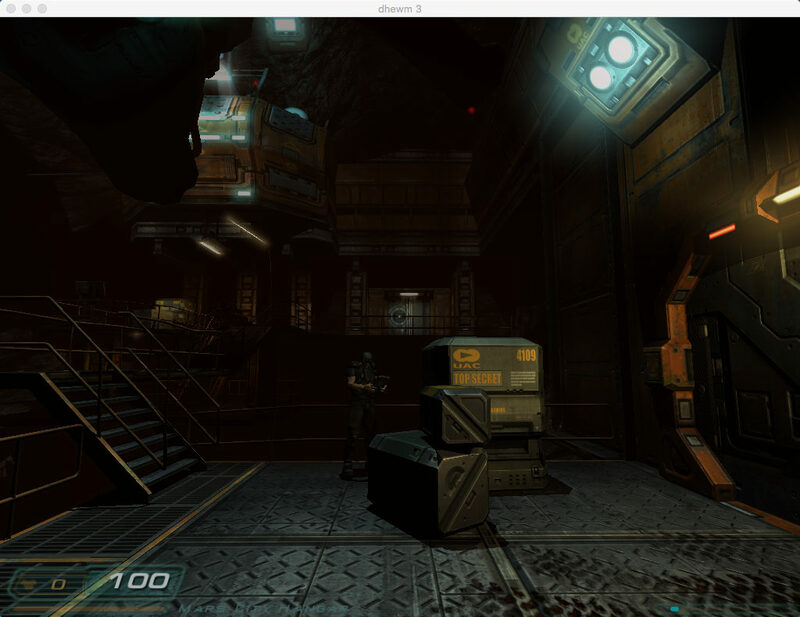 Support for some Mods via custom SDK: Classic Doom3, Fitz Packerton, HardQore2, Denton's Enhanced Doom3 and Rivensin (formerly known as Ruiner). See the Mods page for more information. This has also broken backwards compatibility with 1.4.x game DLLs, that's why this version will be 1.5.0 and not 1.4.2. Scale menus, fullscreen videos and the PDA to 4:3 (with black bars left/right) on widescreen displays so they don't look stretched/distorted. Can be disabled with r_scaleMenusTo43 0. No, this unfortunately can't be done for the HUD (except for the crosshair), because it also handles fullscreen effects (for example when receiving damage), and those would look bad with black/empty bars on left/right. Commandline option to display some help on supported commandline arguments: -h or --help or -help or /? (Experimental) uncapped framerate, enable by entering com_fixedTic -1 in the console (can be set back with com_fixedTic 0). 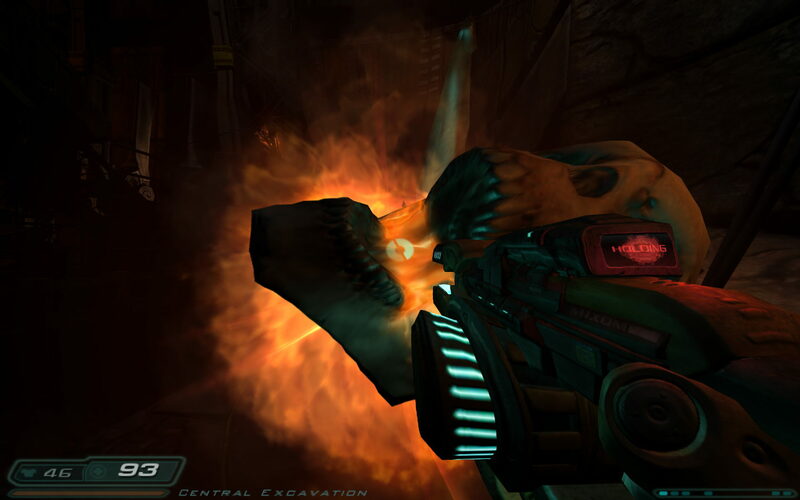 dhewm3 now has an official homepage! I guess it makes sense to be a bit less dependent on Github (especially as it has been bought by Microsoft, but also in general), so I decided to create this homepage with a domain I control. Another advantage is that it has some screenshots and more user-centric documentation than the README.md. We'll continue to use Github for hosting the code and issues (and indeed this page via github pages), but if we need to migrate to another hoster some day, dhewm3.org will still be reachable and will link to the new code repo and issue tracker instead. 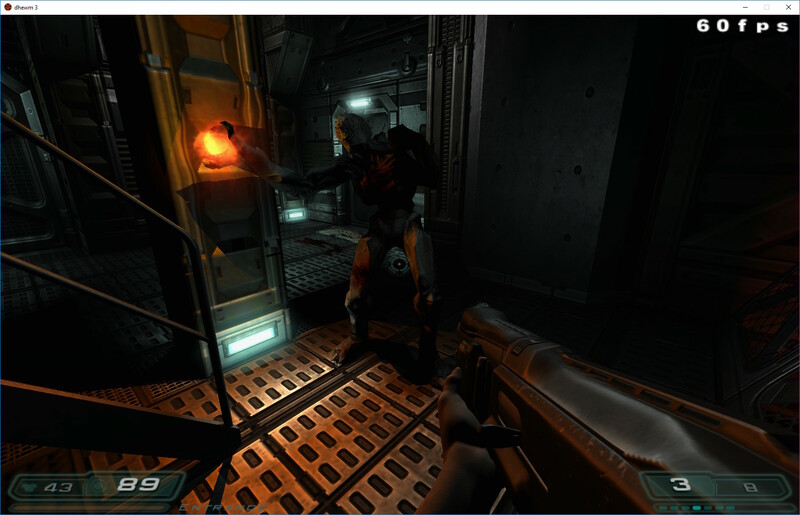 Fixed some (kinda rare) crashes due to assertion errors, especially observed in the last boss fights of both doom3 and the Resurrection of Evil Addon. If you bought the game on CDs/DVD, base/pak000.pk4 - pak004.pk4 and d3xp/pak000.pk4 can be copied from the disks, the other files are from the patch. On Windows you can just install the game and the official 1.3.1 patch for Windows and then get the files from the installation directory (or copy dhewm3 in there). First you need to buy Doom3 of course (and the Resurrection of Evil Addon, if you want that too; Note that the Addon is not available in Germany). Thankfully the game from Steam is already fully patched to 1.3.1. On Windows, just install it and copy the game data from there (see above for what files are needed). On Linux/OSX unfortunately you can't just install the game (unless you run Windows Steam in Wine), because it's Windows-only on Steam. However, you can still download it with SteamCMD. See this description for Linux or here for OS X on how to install SteamCMD on your system. You won't have to create a new user. It should be possible to get the Resurection of Evil data in the same way, by replacing 9050 with 9070; the files should be in ./doom3/d3xp/ then. By the way, that number is the "AppID" of Doom3/RoE; if you wanna use this to get the data of other games you own, you can look up the AppID at SteamDB. On Windows you can just download the Win32 binaries from the Download page. 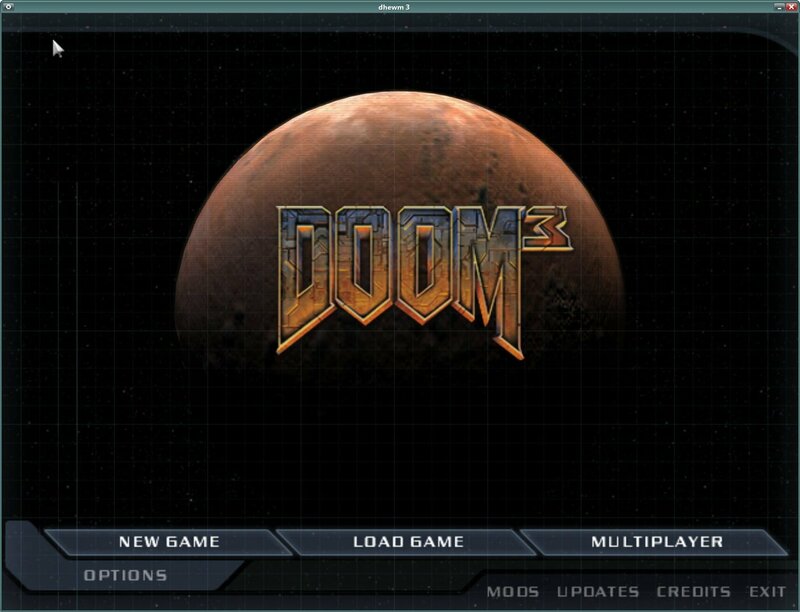 You can either extract them into your Doom3 installation directory, or into a fresh directory and copy the needed game data (see above) in there. Similarly, you can find x86_64 (amd64) Linux binaries there. On Linux and *BSD it might be that your package manager provides a dhewm3 package/port that you can install; please refer to that packages documentation on where to put the game data. If your package manager does not provide dhewm3 (or you're on macOS/OSX and there is none), or you want to use the very latest code, you'll have to compile it yourself. 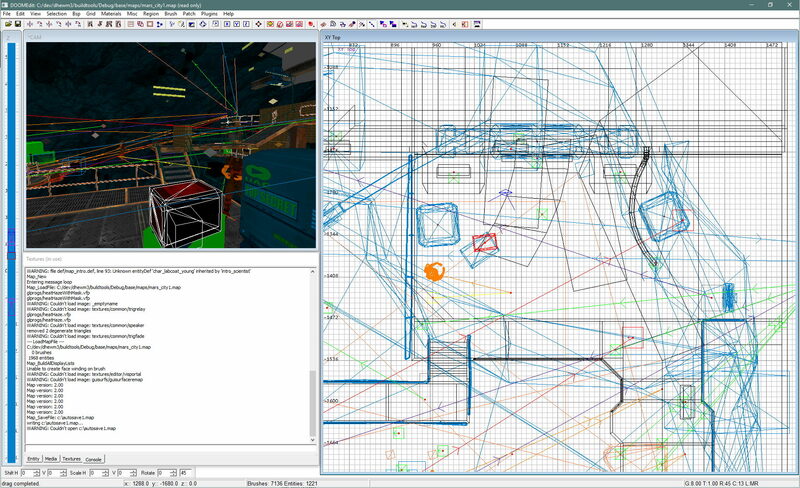 It's not super hard, see the README for details on compiling and the FAQ on where to put the game data.